What Should Women Divorcing in Indiana Do to Prepare? For women considering an Indiana divorce, many will decide to delay until after the holidays. With planned family gatherings, a possible road trip and other activities, it may make more sense to delay filing for divorce until after the holidays to save some stress and hard feelings that could linger.Forbes.com recently published a column that gives women some tips on what to do if they are considering divorce but aren’t sure what steps to take. 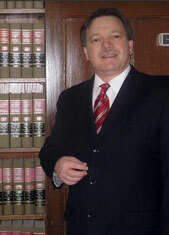 Our Indiana divorce lawyers are prepared to help anyone who is considering divorce this time of year. It is a difficult decision and one that must be planned out well. There are many steps of preparation that must be taken when considering this decision. While divorce represents a major lifestyle change — taking care of children mostly by oneself or living apart from them for the first time, dwelling in a new place, have less reliance on another person — there are major financial implications. Not only do you split assets, you split debts. With the economy so bad right now for much of America, the real estate market depressed and investments and retirement accounts perhaps not as supple as they once were, accommodations must be made. A person must make strong plans to ensure they are able to survive the challenge. Before you file, take the time to do this preparation. Consulting with an experienced Indiana divorce lawyer should be your first move. Getting as much worked out in advance can make the divorce process much smoother. Collect your financial documents: Banks, credit-card companies, employers and others will be sending end-of-the-year documents via mail in the coming weeks. Gathering credit card and bank account statements and other financial-related documents is necessary. Make copies and store them in a secure area, possibly with a trusted friend or family member. Do a credit check: Request a copy of your credit score and monitor it carefully so you will know if anything suspicious comes up. Check to make sure there aren’t any strange purchases, such as your spouse buying odd gifts. Look for an Indiana divorce lawyer: Forbes recommends a team of professionals to help you through your divorce, including a divorce attorney, a divorce financial planner and a counselor/therapist. Interview them and settle on a group that will be able to help you at all angles. Open new accounts in your name only: Create a bank account and open a credit card account in your name. Choose a new bank, where you aren’t currently affiliated. If you have little or no credit on your own, it may be tough, but you’ll need to establish credit, so get a plastic card. Stay vigilant: Be attentive and keep an eye on the family assets and if you’re worried your spouse is wasting money or moving it around, consider filing a separate tax return for 2011.